It’s very possible to put together a wellness program that benefits your employees while sticking to a small budget. To help you out, we’ve put together a list of 5 low cost employee wellness program ideas for any workplace. Onsite Wellness Services – Chair massages, meditation sessions, yoga instruction, are valuable wellness services that can be offered at low cost. Exercise Clubs – Encourage employees to get up and moving with exercise clubs for walkers, runners, and those who love organized sports. 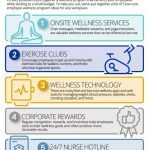 Wellness Technology – There are many free and low cost wellness apps and web tools for managing weight, blood pressure, diabetes, stress, smoking cessation, and more so be sure to provide access to these to your employees. Corporate Rewards – While you are developing a wellness program for employees, remember that a rewards based system often produces more favorable results. Regular recognition, rewards, and incentives help employees stick to their wellness goals. 24/7 Nurse Hotline – Having fast access to medical advice is a low cost option that can be included in a corporate wellness program. A live telephone nurse hotline can be used to help employees get the help they need before spending an expensive visit in hospital emergency care center. 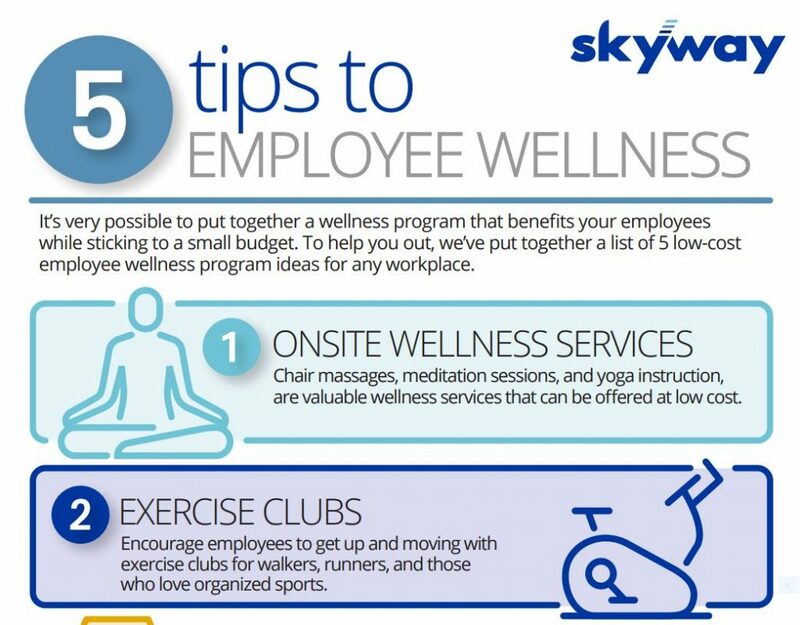 Click here to see how Skyway can help you improve employee wellness through customized solutions.